Leo Vegas is a unique online casino that is investing heavily on mobile casinos so that their players can enjoy casino games wherever they are. That’s why it’s perfect to choose Leo Vegas if you like playing on your mobile or tablet. But of course, it’s also great to play on their regular online casino via the computer. 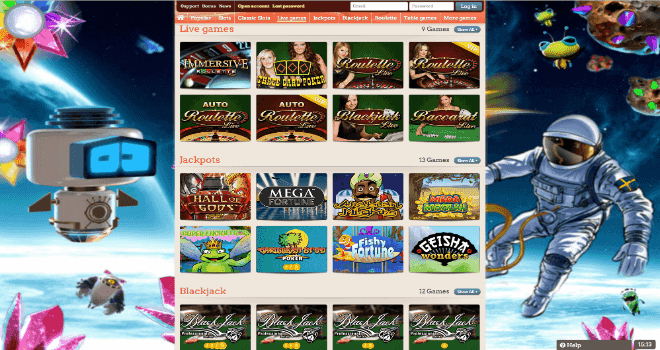 Here you will find all the games you can think of and there are also opportunities to take advantage of a lot of bonuses, both as a new and already registered customer. 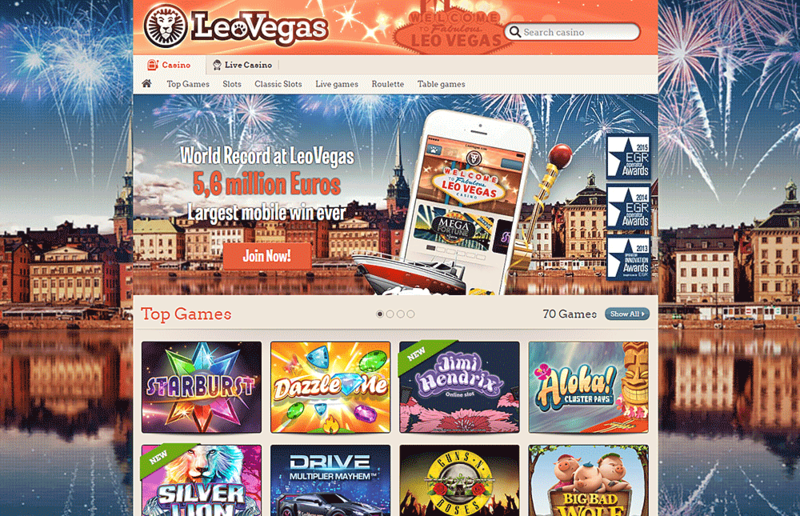 Leo Vegas is based in Malta within the EU, which of course means tax-free winnings for players in the EU. Among the many benefits of playing casino games at Leo Vegas is the very generous welcome bonus, where you have the chance to collect free bonus money. The welcome offer is divided into four parts, where you receive bonuses the first four times you deposit money into the game account. The first time you deposit money with Leo Vegas after registration, you will receive 100% in bonus. Second deposit gives you 50%, third time you get 50% and the fourth time gives you 25%. 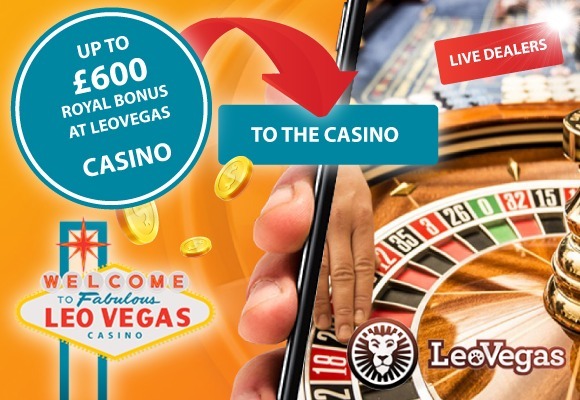 Once you have used your bonus money, you have the chance to get other bonuses and benefits, as Leo Vegas often brings new promotions to its players. For example, they have a loyalty program for recurring players where you can earn points and then switch them to different benefits. When it comes to the different games that Leo Vegas can offer to its players, the offer is big both in the regular casino and in the mobile casino. One reason for this is that Leo Vegas chose to use a very large amount of developers like the big giants Net Entertainment and Microgaming, but also smaller developers like Viaden Gaming, NYX and NextGen. So when you sign up, you can choose between the classic casino games that everybody knows, such as Craps, Blackjack and Roulette, the latest video slots or live casino games that give you a much more real-life experience. In the live casino, with games from Evolution Gaming, you’ll find both Baccarat, Roulette and Blackjack. Some of the most popular slots at Leo Vegas are Jackpot 6000, Gonzo’s Quest, Arabian Nights and Scarface. The biggest advantage that Leo Vegas has is that they invest heavily on mobile casino. 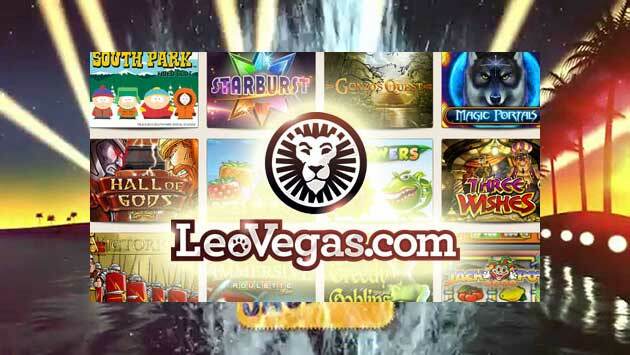 You can play more mobile games at Leo Vegas than at most other mobile casinos. Usually, many mobile casinos offer significantly fewer games in mobile variants, but at Leo Vegas it’s completely different. You can play mobile games directly in the browser on your tablet or mobile phone, and do not miss Leo Vegas’s own unique games that you will not find anywhere else. Deposit or withdraw money from Leo Vegas does not differ significantly from how it works at other casinos online. They offer classic methods such as bank cards (Master Card, VISA), e-wallets (Skrill, Paysafecard) and bank transfer. Leo Vegas customer service is always ready to help you. You can contact Leo Vegas by email or phone and they respond promptly and professionally. Leo Vegas is one of the better casinos in the market, especially for those who like to play on the mobile or on the tablets. They have great bonuses. Leo Vegas gives the impression of a truly professional casino that really cares about its players – you can spend many hours at ease without getting tired.